You may have different issues in DNS service such as DNS sever not responding to the clients or DNS server does not resolve the names correctly. Here I have some of the steps that will help you to troubleshoot and resolve some of the common issues. As you know the connectivity issues between the host and server is most important part, you should make sure that there are proper connectivity between client and DNS server. First, check that related client hardware (cables and network adapters) are working properly at the client by using basic network and hardware troubleshooting steps. Ping your DNS server and Additional DNS server and make sure that that are reachable. Check whether the DNS settings are correctly mentioned in your NIC card properties. If you are using DHCP service DNS settings may be obtained automatically , hence in order to see this on command prompt type 'ipconfig/all' and make sure the DNS settings are correct . Release your and renew your DHCP and DNS details. If you have configured to obtain the IP address and DNS address automatically(Using DHCP) you can release those details and request for a new configuration. There are chances that your IP address may have conflict in your network or the details of DNS server is old, performing the below action will release the details and obtain the details once again. Open command prompt and type 'ipconfig /release', ENTER which will release the IP details. Type 'ipconfig /renew', ENTER will request for an new IP details to the DHCP server and get the latest details. Now check your 'network adapter' or 'ipconfig /all' to see the details are renewed once again. If the DNS server is reachable through basic network testing, but it is not responding to DNS queries from clients. Please use 'nslookup' to check whether the DNS resolve the name. Open command prompt and type 'nslookup'. It will direct you to nslookup prompt. Type your server host name or IP address and make sure that it resolve the query. That is when you type the IP address of your server or client it should display the hostname. If it does not, please restart the DNS server service from the server. Open DNS console-> Select the 'DNS server'->Actions-> All tasks->Stop/start. Now use the 'nslookup' to know whether it helps. The DNS server has been configured to disable the use of its automatically created default reverse lookup zones. There are chance that your zones are configured and kept to pause on DNS server make sure that it is started. Right click reverse lookup zone that is existing in DNS console and select 'properties'->Under general tab make sure that the 'status' as running. If not 'start'->Apply->OK. As you know the default DNS server port is UDP 53 all queries using 'nslookup' will be listen through this port. If the DNS server is located on another network and is reachable only through an intermediate host (like a router or proxy server), the DNS server might use a nonstandard port to listen for and receive client requests. So make sure that none of the intermediate firewall or proxy server configuration is intentionally used to block traffic on well-known service ports that are used for DNS. If not, you might be able to add such a packet filter to these configurations to permit traffic to standard DNS ports. The DNS server does not resolve names for computers or services outside your immediate network. DNS servers uses the recursion process to resolve the names that are not located within the configured DNS domain name that is used by the DNS servers and clients. Hence we can confirm that server has a problem with its ability to correctly perform recursion. The recursive query times out before it can be completed(By default, the DNS service uses a recursive time-out of 15 seconds). A remote DNS server fails to respond. A remote DNS server provides incorrect data. The DNS server is not configured to use other DNS servers to assist it in resolving queries. Check whether the DNS server can use both forwarders and recursion. By default, all DNS servers are enabled to use recursion, although the option to disable its use is configurable in DNS Manager to modify advanced server options. The other possible situation in which recursion might be disabled is if the server is configured to use forwarders and recursion has been specifically disabled for that configuration. The DNS server does not have network connectivity to the root servers. Test for connectivity to the root servers. If root hints appear to be configured correctly, verify that the DNS server that is used in a failed query can ping its root servers by IP address. If a ping attempt to one root server fails, it might indicate that an IP address for that root server has changed. Reconfiguration of root servers, however, is uncommon. A more likely cause is a full loss of network connectivity or in some cases, poor network performance on the intermediate network links between the DNS server and its configured root servers. Follow basic TCP/IP network troubleshooting steps to diagnose connections and determine whether this is the problem. Check whether there are issues in Dynamic updates and zone. There are chances you your dynamic updates are not working and issue with your zone. Use the below MS link to troubleshoot those issue. The Domain Name System (DNS) server is affected by a network failure. Verify that the server computer has a valid functioning network connection. First, check that related client hardware (cables and network adapters) are working properly at the client by using basic network and hardware troubleshooting steps. If the server hardware appears to be prepared and functioning properly, check that it has network connectivity by using the ping command to contact other computers or routers (such as its default gateway) that are used and available on the same network as the affected DNS servers. nslopkup is one of the CLI tool that will help you to analyze the DNS queries. You can make use of this by command prompt. This tool will help you to analyze the and verify that name resolution is working. Secondly, if name resolution isn't working, it allows you to confirm which DNS server is being used. Please make use of the below link to have more idea about using nslookup. Try an alternate DNS server. Most organizations have at least two DNS servers. If your primary DNS server is having problems, try using an alternate. If name resolution begins working after you switch DNS servers, you have confirmed that the problem is indeed related to the DNS server and not to some external factor. 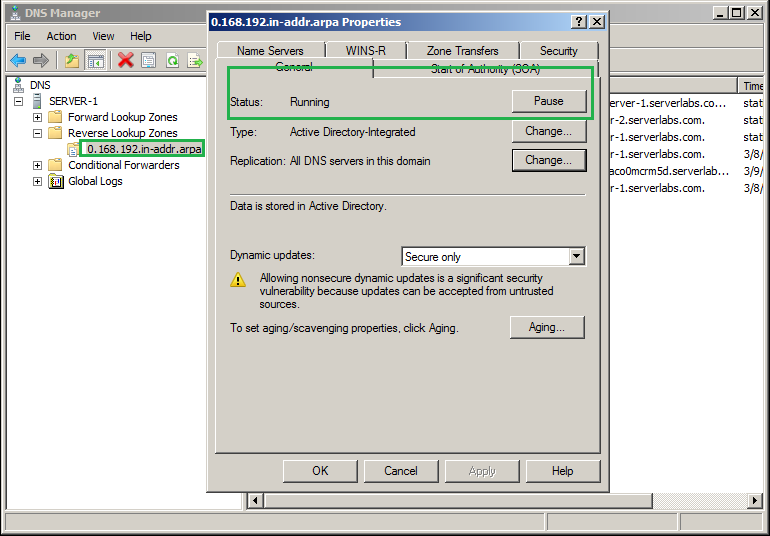 Try to reboot the DNS server and check whether it help you to resolve the issue. I had this issue few day ago and couldn't fix it. Thats when I started googling and found a team of friendly people called called ServerBuddies. They provide quality remote server management, including troubleshooting, Server Management, Plesk Support, Server Maintenance, Server Monitoring, Server Troubleshooting and support at a affordable rates. Here are option for Server Management, Server Maintenance, Server Monitoring, Server Troubleshooting, Server Optimization, Plesk Support, Linux Support, cPanel Support and Plesk Support. They are great, I highly recommend to use these guys! ERR_SPDY_ PROTOCOL-ERROR working fine for me.